According to data from Central Bank of Ireland (CBI), as end of May, assets in Irish domiciled funds have seen an increase in growth that surpassed €2.5 trillion. This represents growth of 5% in Irish domiciled assets in the first 5 months of the year and makes Ireland one of the most attractive destinations for investors. For the first 5 months of the year, total net sales into Irish domiciled funds reached €79.7 billion, of which €17.3bn has been into ETFs - this follows a record breaking year for net sales in 2017. As per figures released by European Fund and Asset Management Association (EFAMA) last week, this equates to 31% of all the total net sales in European funds for the first 5 months of the year. Given the strong performance of Irish domiciled funds, the total value of assets under administration (AUA) in Ireland (both Irish domiciled fund assets and non-Irish fund domiciled assets) reached new heights, now standing at €4.73 trillion (March 2018). These figures reflect the underlying development of the fund industry in Ireland. Today, Ireland is the domicile for 5.5% of worldwide investment fund assets, making it the third largest centre in the world. 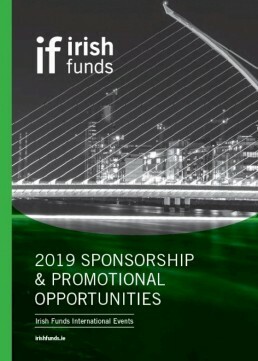 This growth comes as the Irish Government continues to support the industry in delivering a responsive business and regulatory environment for the wider investment community. This work remains a key part of the government’s International Financial Services 2020 strategy. It also benefits from favourable economic environment, as the Irish economy is expected to continue to record strong growth this year and into 2019, with the European Commission forecasting it will document the highest economic growth in the EU in 2018.